Remove the tin from the fridge and discard/save any liquid. Scoop out the hardened milk and place in a bowl, adding the vanilla and honey/syrup/cocont sugar and whisk until fluffy and the consistency of whipped cream. 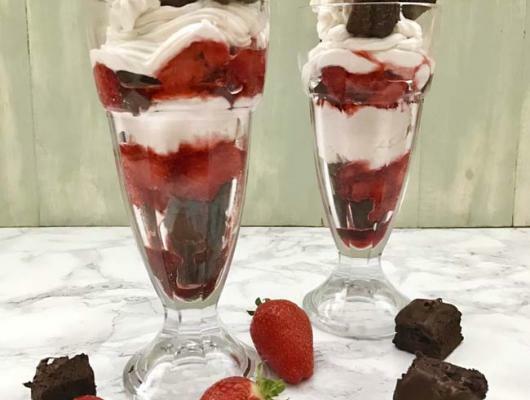 Layer your chosen sundae glass with alternating layers of the jam, brownies and whipped cream, before topping off with some more brownies and fresh strawberries. Break the chocolate into pieces to ensure that it melts easily. 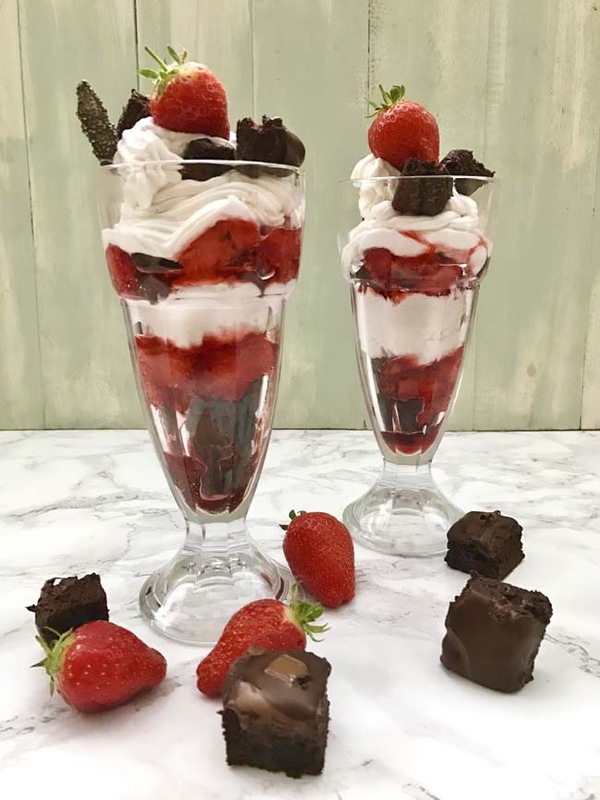 If you don't wish to wait so long to cook down the strawberries to make a jam, then, just as I did, you can allow them to cook down for just a few minutes so that the liquid still thickens and you are also left with big, juicy chunks of sweet strawberries.